• “The Shape of Water” received 13 Oscar nominations on Tuesday morning. The 90th Academy Awards will be held on March 4. • “Dunkirk,” which got eight nominations, and “Three Billboards Outside Ebbing, Missouri,” which received seven, also emerged as strong contenders. • Frances McDormand, Gary Oldman, Saoirse Ronan and Daniel Kaluuya were among the acting nominees. • Greta Gerwig (“Lady Bird”) and Jordan Peele (“Get Out”) were each nominated for best director and best original screenplay. Looking for the film to beat. Oscar voters tilted toward a new Hollywood era on Tuesday, giving first-time nominations to at least 35 people, inviting Netflix into the club, recognizing a woman in the cinematography category for the first time and bypassing actors and films tainted by sexual harassment allegations. 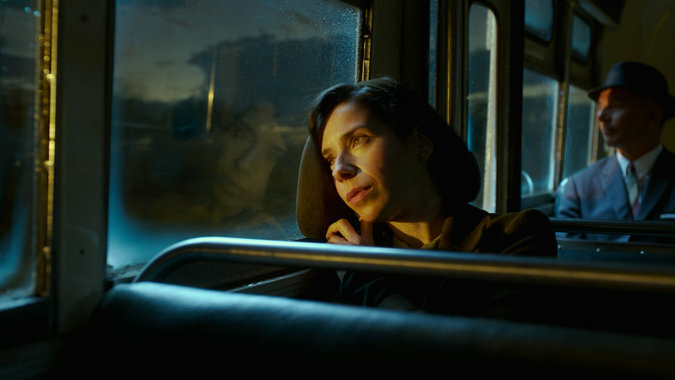 “The Shape of Water,” a modestly budgeted fantasy about a mute janitor who falls in love with an imprisoned sea creature, became the year’s most decorated movie, receiving 13 nominations, including for best picture and Guillermo del Toro’s directing. 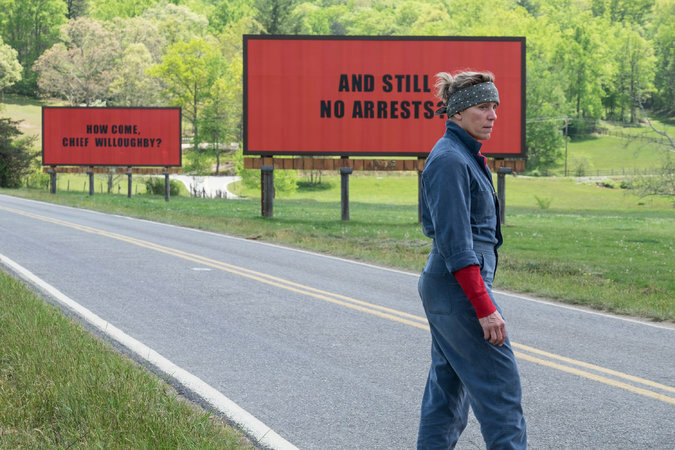 But the contentious revenge drama “Three Billboards Outside Ebbing, Missouri” also emerged as a very strong contender, receiving seven Oscar nominations in a broad array of categories, including best picture. The war epic “Dunkirk” received eight nominations, many of them in technical categories, although it also will compete in the best picture race. From “Dunkirk” to “Mudbound,” see how to watch the nominees at home with Watching, The New York Times’s TV and movie recommendation site. Among the nine, only “Dunkirk” and “The Post” were assembled by major studios. Many have not made a significant mark in theaters. The gay romance “Call Me by Your Name,” for instance, has only taken in $9.1 million. Campaigning for the 90th Academy Awards has been going on in Hollywood for five months, with films falling over themselves to claim the cultural zeitgeist. 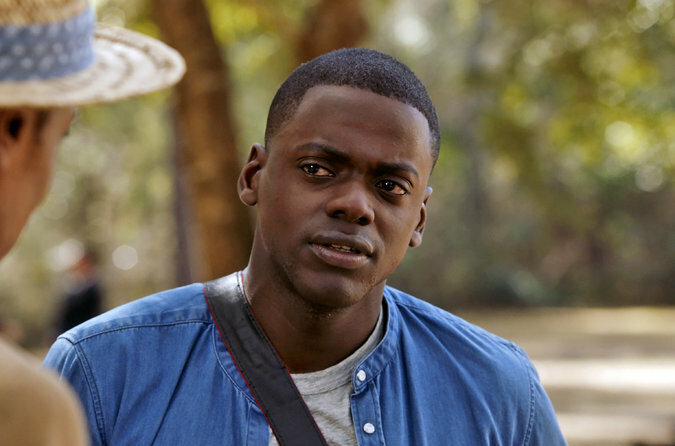 Jordan Peele’s “Get Out” is about racism and cultural appropriation, the film’s get-out-the-vote team says, but also (in this #MeToo moment) about the abuse of power. “Three Billboards,” which won the top prize at the Screen Actors Guild Awards on Sunday, sees itself as the most topical: It features a woman demanding attention be placed on a sexual predator; red state anger; and commentary about racist policing. Others say the crown should go to “The Post,” with its depiction of a woman coming into her own as a leader and taking a stand against attacks on journalists. And don’t forget Greta Gerwig’s “Lady Bird,” with its nuanced mother-daughter relationship and self-confident central character. Ms. Gerwig received nominations for her original screenplay and became the fifth woman ever nominated for best director. 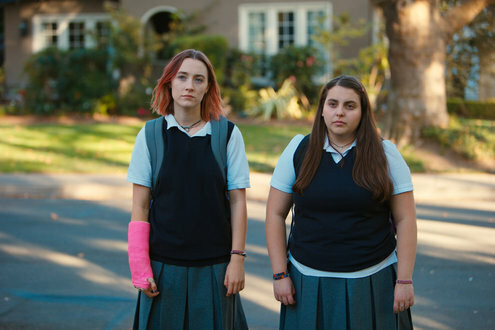 “Lady Bird” also received best actress (Saoirse Ronan) and supporting actress (Laurie Metcalf) nods. Ms. Gerwig said her first phone call of the morning was to congratulate Mr. Peele, who is only the third person to receive best picture, directing and writing nominations for his first film. (Warren Beatty did so with “Heaven Can Wait” in 1978, followed by James L. Brooks with “Terms of Endearment” in 1983.) He is the fifth black director to be nominated. Mr. Peele’s film, which cost Blumhouse Productions $4.5 million to make and collected $255 million worldwide nearly a year ago, is one of the few horror movies ever nominated for Hollywood’s highest honor. McDormand, Oldman lead acting nominees. Frances McDormand, a four-time nominee and a winner for “Fargo” in 1997, was nominated for her lead performance in “Three Billboards.” She has already won Golden Globe and Screen Actors Guild trophies for the role. Joining her were Ms. Ronan, Sally Hawkins (“The Shape of Water”), Margot Robbie (“I, Tonya”) and Meryl Streep (“The Post”). It was Ms. Streep’s 21st nomination. Gary Oldman’s performance as Winston Churchill in “Darkest Hour” landed him a best actor nod. He was joined in the category by the newcomers Daniel Kaluuya and Timothée Chalamet (“Call Me by Your Name”), Daniel Day-Lewis (“Phantom Thread”) and the nine-time nominee Denzel Washington (“Roman J. Israel, Esq.”). James Franco (“The Disaster Artist”) was notably left out. Mr. Franco’s inclusion would have put the academy in an uncomfortable spot; at least five women have accused him of inappropriate or sexually exploitative behavior, allegations his lawyer has disputed. Representatives for Mr. Franco have referred reporters to his statements on late-night shows. Many academy voters have long insisted that art should be separated from the artist — that the Oscars should be about assessing the caliber of work and that concerns about offscreen behavior should be cleaved away. Just last year, voters overlooked Casey Affleck’s past settlements with women who accused him of sexual harassment to name him best actor. But that stance has been harder to maintain as women have come forward in recent months to accuse men like Harvey Weinstein, Brett Ratner and James Toback of sexual misconduct. Many of these men — Mr. Weinstein, most notably — used the Oscars as a shield. The academy kicked him out in October. While a hot awards prospect earlier in the season, “The Florida Project,”about families living in a grim motel, received only one nomination, for Willem Dafoe as a supporting actor. The film’s prospects were hurt after harassment claims were made against one of that film’s producers, Andrew Duncan, who stepped down from his independent production company in December while denying wrongdoing. Also receiving a supporting actor nod was Christopher Plummer, who replaced Kevin Spacey in “All the Money in the World” at the last minute after Mr. Spacey was accused of sexual misconduct by multiple men. Richard Jenkins (“The Shape of Water”) and the “Three Billboards” co-stars Sam Rockwell and Woody Harrelson rounded out the category. Keeping an eye on diversity. In the wake of the #OscarsSoWhite backlash in 2015 and 2016, the academy mounted an effort to double female and minority membership. But even after two years of the initiative, the academy remains 72 percent male and 87 percent white. Actors of color who received nominations on Tuesday included Mr. Kaluuya, Mr. Washington, Mary J. Blige (“Mudbound”) and Octavia Spencer (“The Shape of Water”). Both Ms. Blige and Ms. Spencer were nominated as best supporting actress, joined by the first-time honorees Allison Janney (“I, Tonya”), Lesley Manville (“Phantom Thread”) and Ms. Metcalf. For the first time in its 90-year history, a woman was nominated for best cinematographer: Rachel Morrison, who was honored for her work on “Mudbound,” Dee Rees’s film about black and white farmers in rural Mississippi in the 1940s. No black woman has ever won a writing award at the Oscars, but Ms. Rees, nominated with Virgil Williams for their adapted screenplay, could change that. This year, Netflix was hoping for its first best picture nomination for “Mudbound.” That didn’t happen, but the film ultimately received attention in four categories, including original song. Netflix, with a total of eight nominations, also has two documentaries vying for the Oscar: “Icarus,”about Russian doping in sports, and “Strong Island,” about the 1992 murder of a young black man. 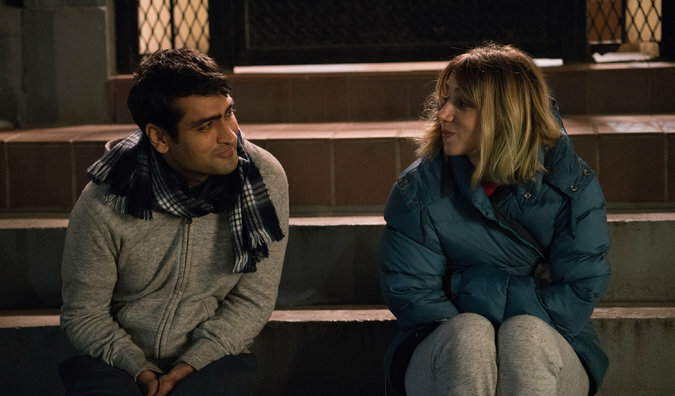 For its part, Amazon had aggressively pushed “The Big Sick,” nominated for best original screenplay, as a best picture contender, despite the academy’s aversion to comedies. But Amazon is already ahead of Netflix in its campaign to be taken seriously by the film establishment. Amazon, which has allowed its films to play extensively in theaters before appearing online, won three Oscars last year. Two were for “Manchester by the Sea” and one for “The Salesman,” a foreign film.